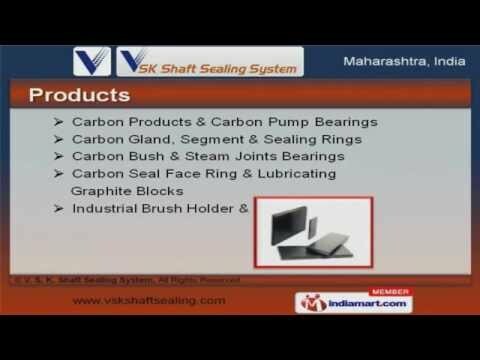 Welcome to V. S. K. Shaft Sealing System, Manufacturer and Supplier of Carbon Graphite and Allied Products. The company was incepted in the year 2008, at Navi Mumbai. Our products are applicable in Chemical, Textile and Pharma industries. Efficient after-sales support, excellent logistics support and Total customer satisfaction make us the first choice of our clients. We offer a wide assortment of Carbon Gland, Segment and Sealing Rings. Our Carbon Products and Pump Bearings are best in the industry amongst others. We offer Carbon Gland, Segment and Sealing Rings that are acknowledged for their functionality. Carbon Bush and Steam Joints Bearings offered by us are some of our best selling products. We have expertise in offering Carbon Seal Face Ring and Lubricating Graphite Blocks. Along with that we offer Industrial Brush Holder and Carbon Vanes that are widely acclaimed in the market.